It is tax season once again, and it is time to fill out your tax form again. Every year, towards the end of January, most of us who are employees or professionals begin to get our tax information returns in the mail, called the Form W-2 or Wage and Tax Statement indicating our taxable income for the previous year that we would need to declare. Many of us look forward to tax season because of the tax refund check that we can expect in a few weeks. But for a lot of individuals, the tax season can also be quite stressful because of all the paperwork that needs to be filled out and filed. Knowing the right tax forms and the right filing process can be a big help in reducing the confusion and stress of filing tax returns. If you have the necessary information, it will also minimize errors on your part, and speeding up the overall process. Of course, it is always advisable to file your tax returns as early as possible, or as soon as you have the pertinent information. Many individuals put undue stress on themselves by waiting until the last minute before taking care of their returns. Read: What should I do with my tax refund? Form 1040– or the U.S. 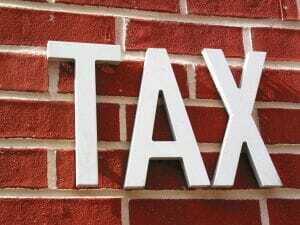 Individual Income Tax Return. The Form 1040 is where you will provide information regarding yourself, your dependents, income sources, and income adjustments. The Form 1040 is also where you will input and calculate the allowable deductions and credits, how much tax is due based on your income, and tax amounts that have already been withheld from wages or estimated payments. Of course, this is just a partial list, and there are many other tax forms used for many other situations and circumstances. Now, where do you get these tax forms? If you have a computer and printer at home, you can download the forms directly from the IRS website (http://www.irs.gov/Forms-&-Pubs). Paper tax forms can also usually be obtained from your local IRS office, post office, or public libraries.